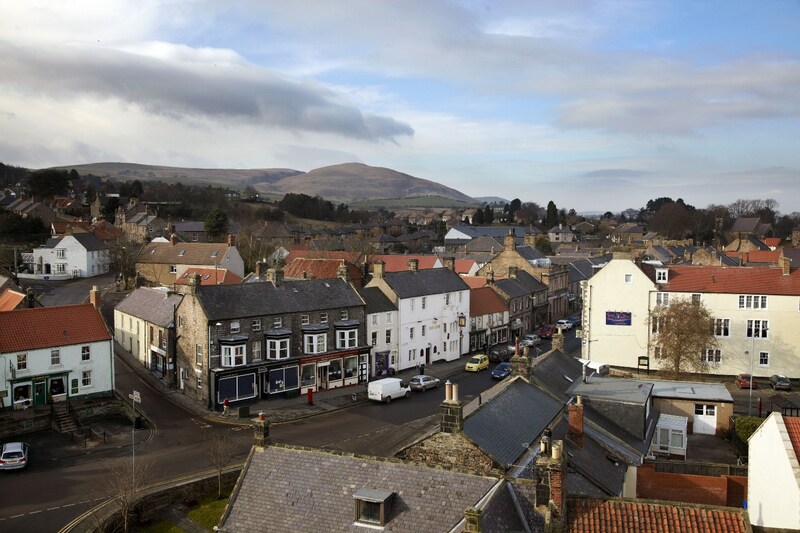 Wooler in Northumberland, a market town, became a health resort and a base from which to visit the Cheviot Hills. The town is a popular base for walkers, and is on the edge of the Northumberland National Park. Its visitors include Sir Walter Scott and Daniel Defoe. The town lies on St Cuthbert’s Way between Melrose Abbey and Lindisfarne. There is evidence of settlement here from the Bronze Age onward. However, there is no mention in the doomsday Book, probably because it is too far north. But from 1199 the town was important enough to have a licence to hold a market every Thursday. The town sits in front of the imposing Humbleton Hill. Here, on September 13th 1402, Archibald, Earl of Douglass, fought Harry Hotspur and the Earl of Northumberland. The English archers won the day and over 1300 Scots died. The English took Douglas and other Earls and knights prisoner. The Battle Stone marks the conflict. King Henry IV claimed their ransom resulting in the rebellion which is the subject of Shakespeare’s Henry IV. Nearby is the site of another Scot’s defeat at the Battle of Flodden. It was fought in September 1513 between Branxton Hill and Flodden Hill in north Northumberland. At the end of the battle, 10,000 Scots and 3,000 English lay dead. The town is the birthplace of the Dalziel brothers (George, Edward, John and Thomas). They were engravers of the wood blocks which illustrated Victorian books and magazines, including Punch. There are several historic buildings including the church of St Mary which had the dubious benefit of Victorian improvement. The Grade II listed St Mary’s dates from 1764 but with later additions and extension. There was however a church here before the present building. 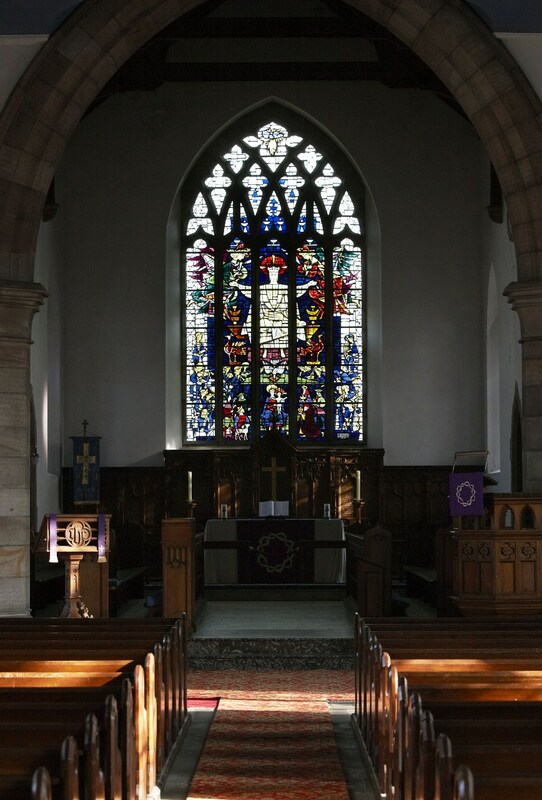 The present church has some noted Victorian stained glass, from when it was Gothecised. The Chancel and East Vestries are early C20th additions. 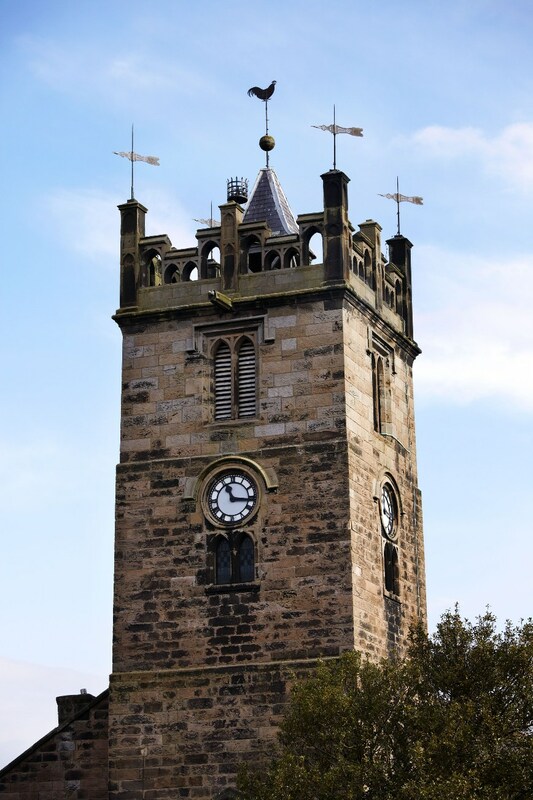 The imposing square tower has four stories, two of which are 1835 additions. There are four turrets and a small spire each with weather vanes. There is an inscription in the Tower hall noting the installation of a clock in 1836 costing £189/11/10d. The church burial ground is separate from the church building and so is a ‘church cemetery’. Previous PostReigate Heath Windmill church is possibly the only windmill that is a consecrated church in England.